This is a pre-painted Bittydesign "Fighter" Kyosho MP9 1/8 Buggy Body. We have teamed up with Bittydesign to offer you another choice for custom paint that will make your car stand out in a crowd of one color wonders, and cookie cutter RTR bodies. 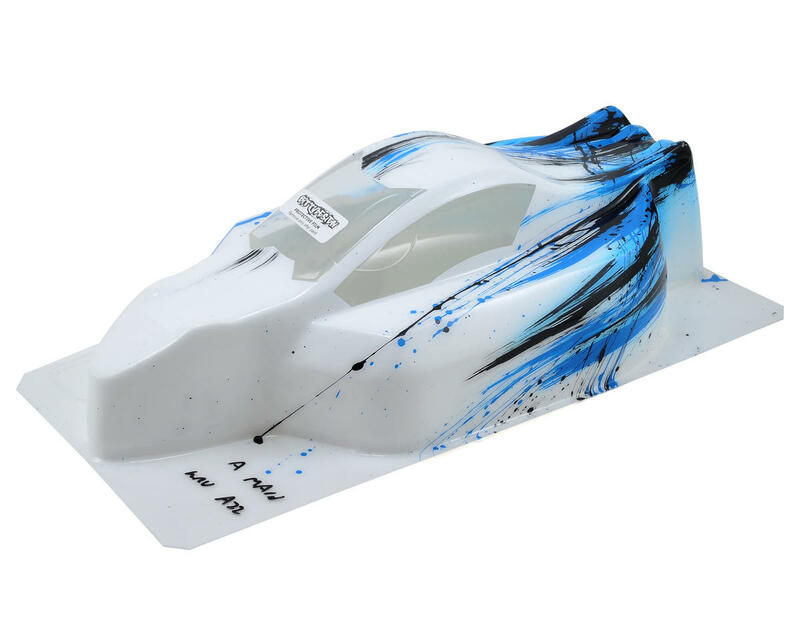 This pre-painted body features the striking Bitty "Grunge" paint scheme in blue, with Bitty's trademark splatter graphics that give this body a modern look that will make you the envy of everyone at the track. 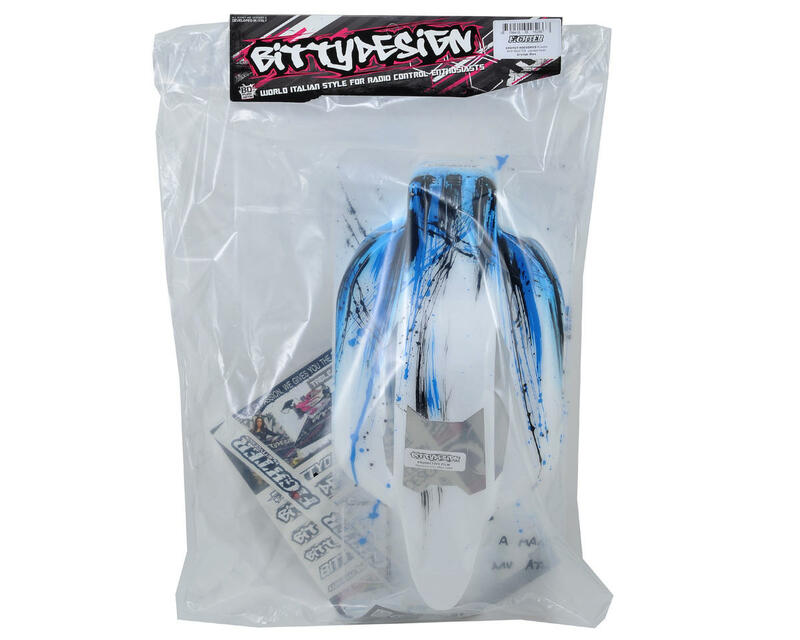 The Bittydesign Fighter body is for racers who prefer "classic" 1/8 scale body styling. The overall shape of the body delivers excellent steering response, and provides an exceptional fit around the chassis side guards and linkage components, while the shape of the rear deck helps to release hot air from around the engine. The clear body includes factory applied protective film, with window masks and a decal sheet, and has been molded from high quality, 1mm thick polycarbonate for durability.